Point of care is where the patient accesses it. An integrated and flexible, multi-modal tool, built to be team-based in order to empower health plans, providers, and promote patient collaboration along the journey to improved outcomes. Multi-modal communication channels that can be tailored to patient preferences and integrate into a patient’s everyday life. 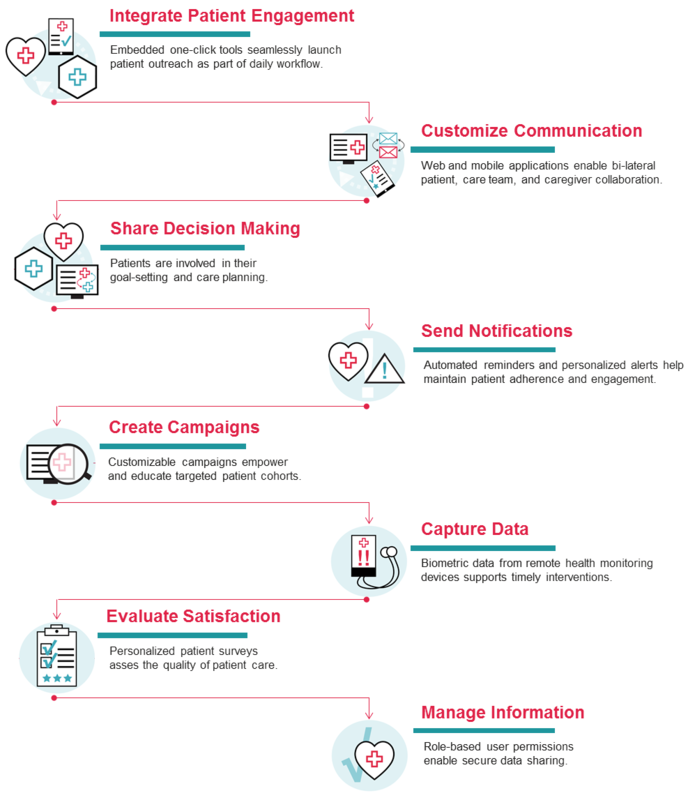 Patient outreach and engagement tools that integrate into care management programs and daily workflows to track tasks and drive adoption. Increased connectivity between patients and their caregivers. Engaged, activated, and better informed patients. Improved bi-lateral communication between patient and care team for shared decision making, transparency & accountability.